Adjusting to a New Hair Style — shelbey w.
*This post is sponsored by Mirum and Ulta Beauty. All options are my own. A few months ago I made the plunge and decided to shorten my bangs. I took my own advice (from a previous blog post here) and gradually made the change. I sported my long swept bangs with a lob for quite a long time. Two months post-chopping the bangs, some days I miss them, others I'm kind of partial to the new look. One thing I have noticed is that I am using heat and a straightener A LOT more on my hair, my bangs in particular. Anyone who has a fringe or shorter bangs knows, you can't just leave them "as is". There is always going to be a styling process when it comes to bangs. I find myself round brushing them with a blow dryer almost every 2 days and also using a straightener on them to add bounce and shape. With heat, comes extra damage to the hair. 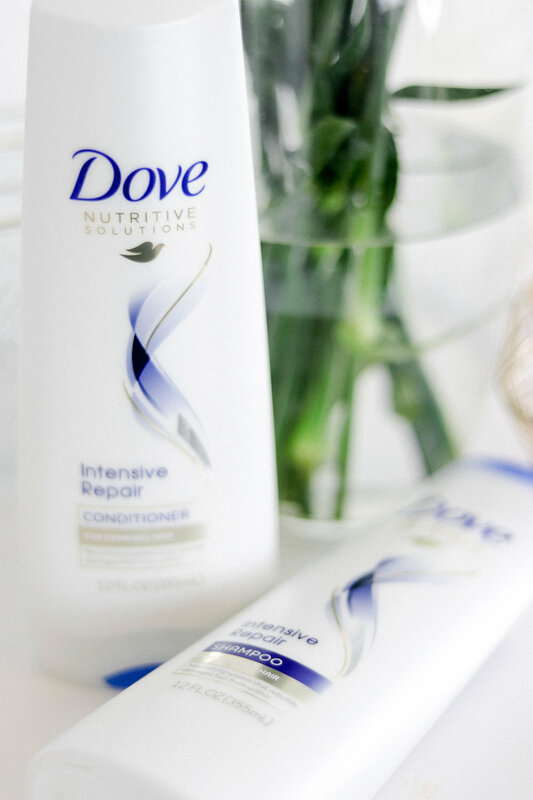 I didn't really have a restorative shampoo and conditioner on hand until I tried the Dove Intensive Repair Shampoo and Conditioner. My husband and I have been avid users of Dove products for years. Their dry shampoo was the FIRST dry shampoo I ever owned and we are repeat buyers of the original Deep Moisture Body Wash (love the smell!). However, I didn't try their shampoo and conditioner until recently. My normal hair care routine revolves around color care, not really damage repair. So it was nice to try out a couple of products that I could incorporate into my shower routine that will help reverse the signs of damage in between trims. 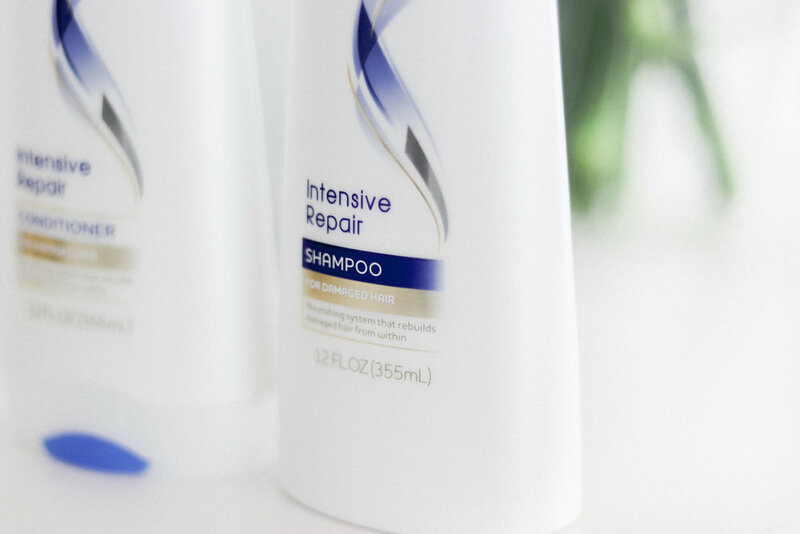 The Intensive Repair Shampoo and Conditioner has the same fresh and classic smell I expect from all of their products. It was designed to treat and repair heat damaged hair by not only repairing the surface appearance, but also preventing future damage and breakage. It can also help to reduce the appearance of split ends! So, I'm sure most of you reading know my love for Ulta Beauty (my town is getting its first Ulta and I may be in some trouble!) Dove Wash and Care products are now being sold in over 500 Ulta stores! From 2/18 until 3/10, qualifying products will be 2 for $10. Check out the "find in store" feature on Ulta.com to see if your local store is participating! 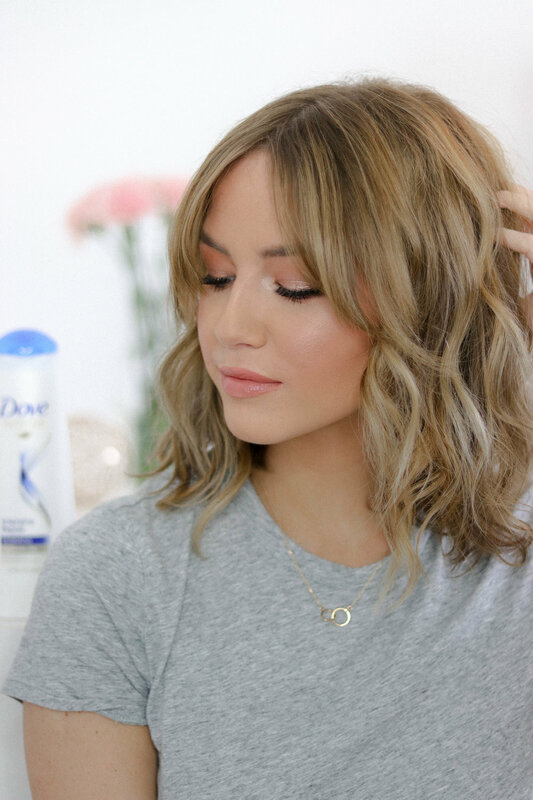 Do you have any favorite Dove products? Let me know below!